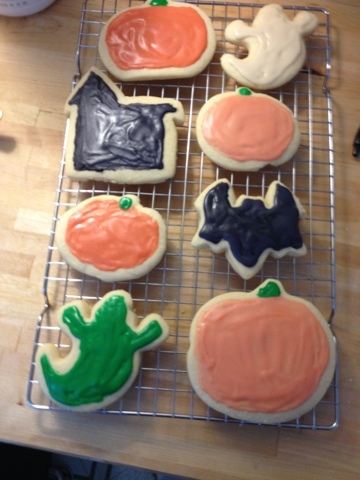 I can't believe October is already gone! 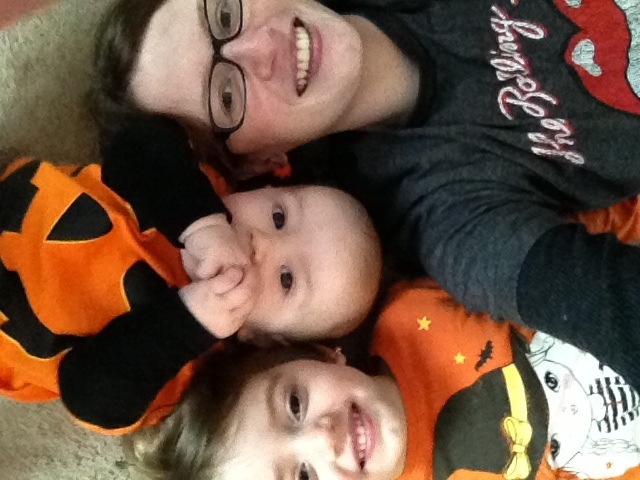 We all had fun with Halloween! A was Obi Wan Kenobi and was so enamored with his lightsaber, he spent hours practicing waving and twirling it, it was so entertaining to watch. 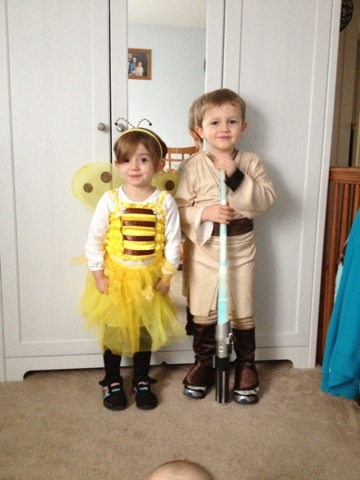 E was a bumblebee, but she didn't like wearing parts of the costume, so everyone thought she was some sort of princess. 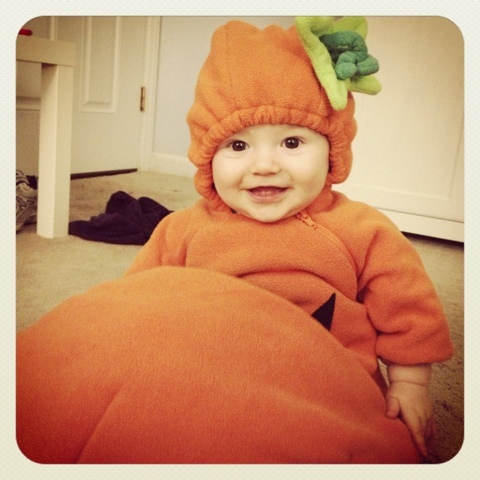 L was a pumpkin, the same puffy pumpkin E was when she was a newbie. They were all ridiculously adorable! 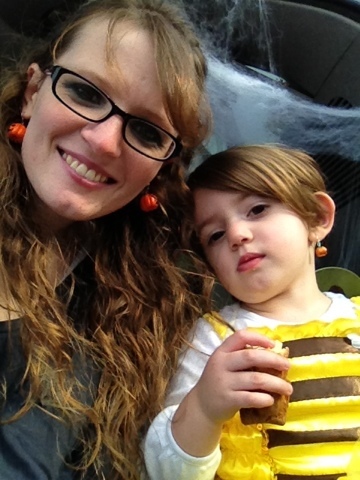 We got to go to a Halloween party with a friend of ours on base. 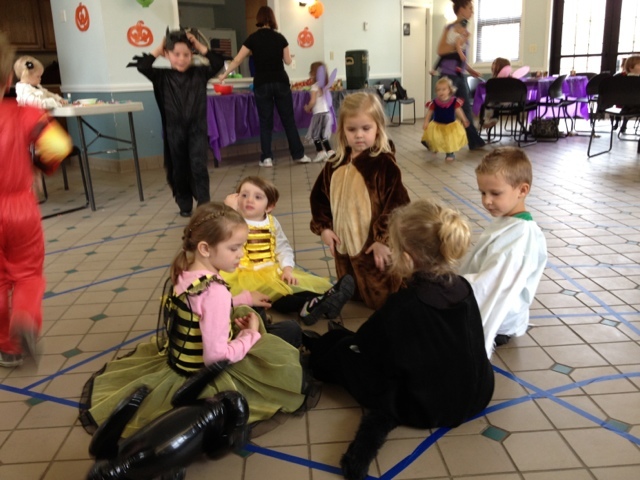 The kids had fun playing duck duck goose and making Halloween crafts. 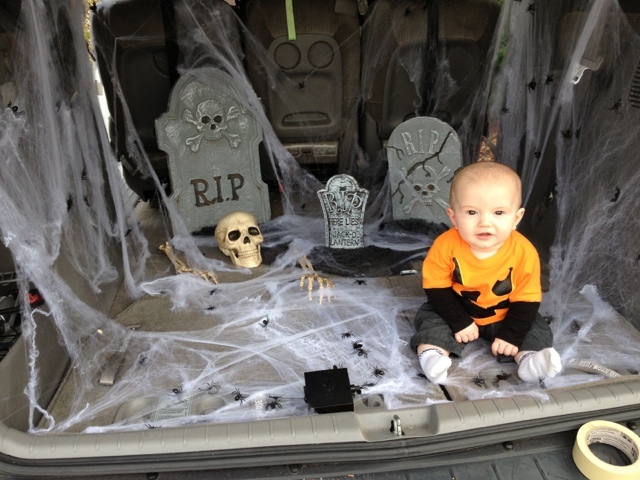 Then we went to the church's trunk or treat. I decorated our trunk to be spooky, and all the kids at church (and there's a LOT) trick or treated up and down the parking lot. I bought two large boxes of treats, one was supposed to saved for Halloween night, but there were so many kids at the trunk or treat we ended up using both boxes! We got to eat Dunkin donuts and apple cider too! 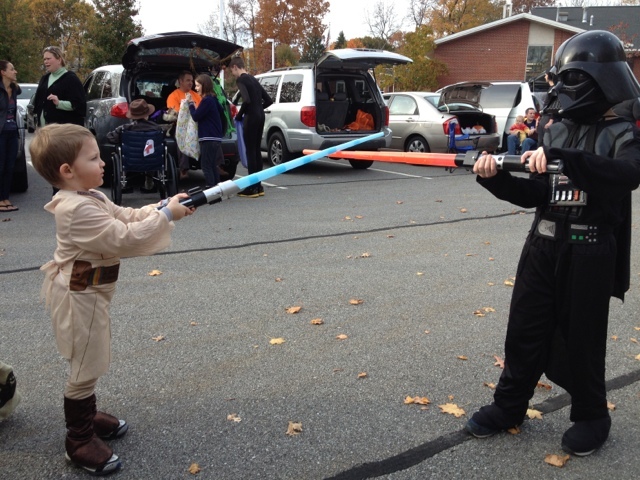 A spent the whole time chasing a kid that was dressed up as Darth Vader, it was funny. By the time we left A said he missed Darth Vader because he'd convinced him to be a good guy, and he wanted to play with him. 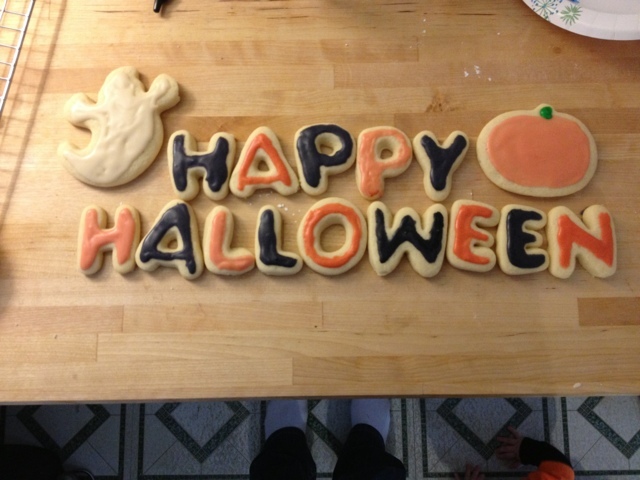 A had a Halloween party at school too, and he said he had lots of fun.